Euro is moving inside the descending channel; this movement may be considered as a correction towards the level of 1.3700. 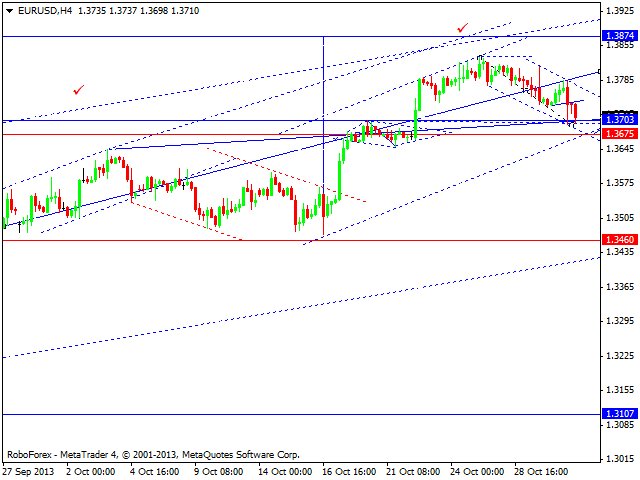 We can’t exclude a possibility that the pair may test the level of 1.3675. Later, in our opinion, the price may complete the correction and start a new ascending wave to reach new maximums. The target is at 1.3874. Pound continues falling down inside a correctional wave We think, today the price may reach the level of 1.5986 and then form a new ascending wave to reach a new maximum. 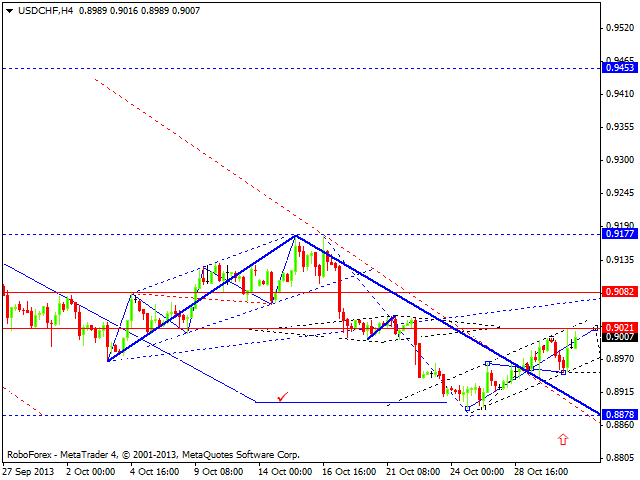 Franc is still moving upwards; the market tested the level of 0.9021 from below. We think, today the price may test this level once again and then start forming a new descending wave to reach a new minimum and the target at 0.8880. The USD/JPY currency pair formed an ascending structure and is not expected to continue moving upwards. We think, today the price may form a reversal pattern and start a new descending wave. 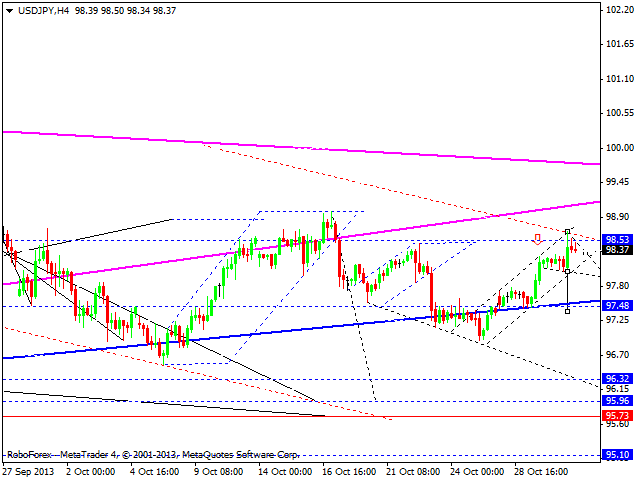 The target is at 96.00. 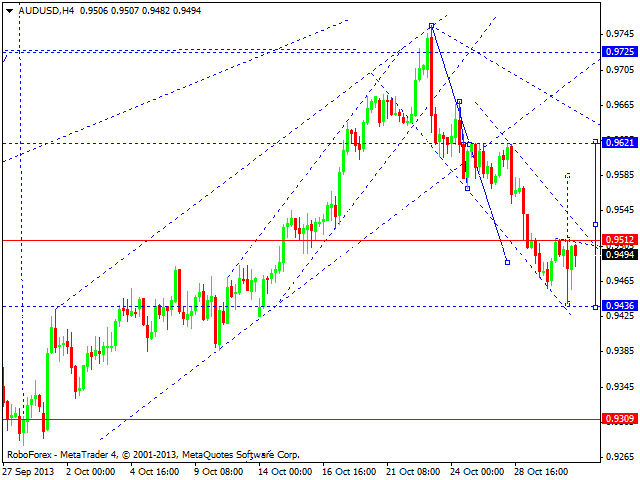 After reaching a new minimum, Australian Dollar started an ascending impulse. We think, today the price may continue growing up and form head & shoulders reversal pattern. 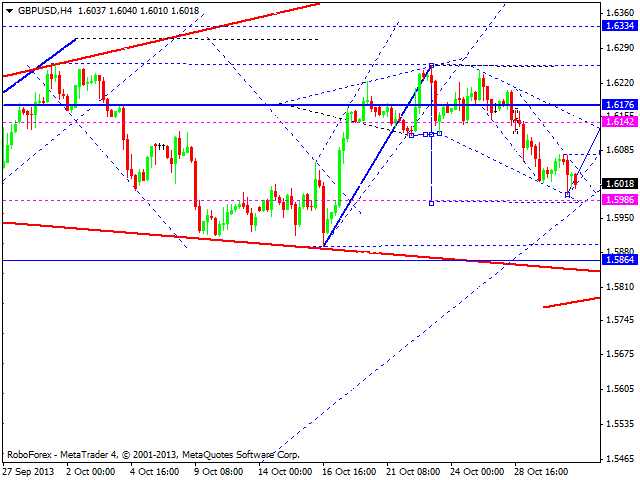 After breaking the neckline, the pair may complete the correction at the level of 0.9620. 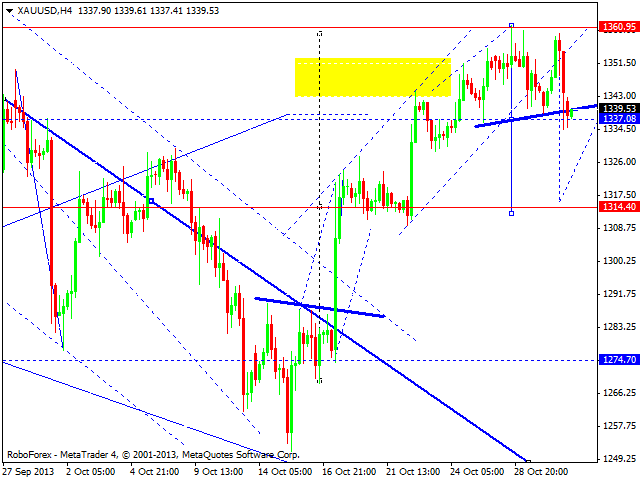 Gold continues moving downwards; the market broke the minimum of the first descending impulse. We think, today the price may form a consolidation and then start head & shoulders reversal pattern. The local target is at 1315.